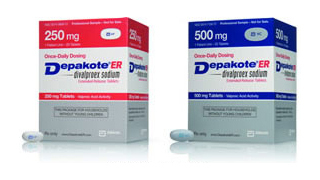 Prescribed primarily to patients with bipolar disorder in the UK, the US, and Canada, Depakote can be used to treat a variety of other symptoms. There are also several Depakote side effects that individuals should be aware of before they take the medication. The most dangerous side effect is a dramatically increased risk of extremely severe birth defects. Liver damage is also a concern among Depakote users, but most patients taking the drug only experience mild side effects such as drowsiness, poor coordination, and weight gain. If any of these side effects are interfering with your daily activities, become worse, or persist for several days, contact your doctor to discuss other treatment options or to adjust your Depakote dosage. Because this medication works within the brain, serious psychiatric side effects may occur suddenly, with little or no warning. Report any changes in mood, behavior, or thoughts to your doctor immediately. Instances are rare, but side effects can also result in serious organ damage and other severe complications. If any of these symptoms occur while you are taking Depakote, contact your physician at once. Discuss the risks and benefits of your child’s health while taking this medication with his or her pediatrician before making a treatment decision. Depakote can be very effective in several different treatment scenarios. Very young children, pregnant and nursing women, and patients with underlying conditions are typically the most likely to experience serious Depakote side effects, but everyone should discuss the risks of a new medication and carefully consider the benefits before starting any type of treatment plan.